Highly comfortable and with a lot of architectural design, the Concept-M 166 offers space for living and working under one roof. 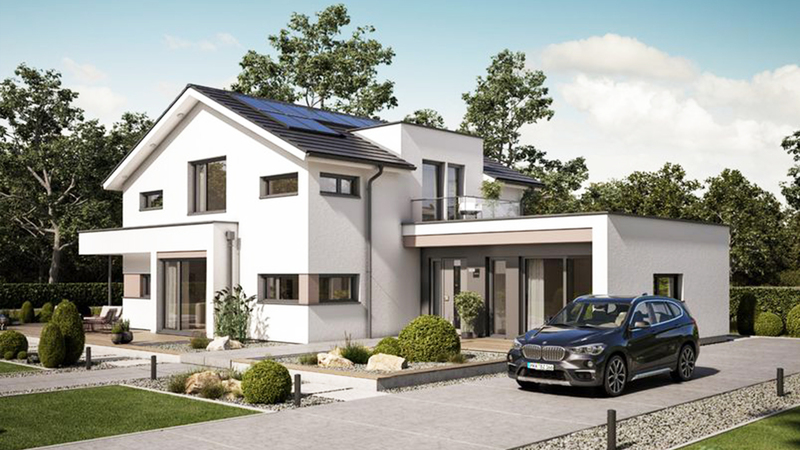 In addition to the children’s and parents’ bedroom including dressing room, the family spa bath and the open kitchen with transition to the living and dining room, the three other rooms of CONCEPT-M 166 are ideal to work where you live. Of course, these rooms leave much room for interpretation and can also be a library, creative or games room. The luxurious furnishings and many, often floor-to-ceiling windows create a unique living environment and details, such as the combination of pantry and wardrobe, make everyday life in family life perfect.